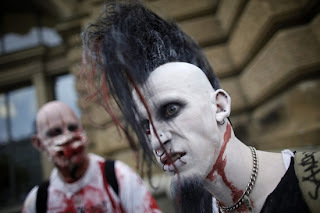 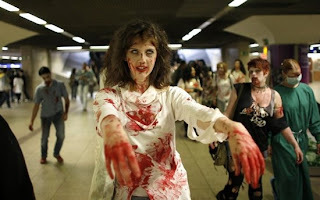 The Zombiewalk took place this weekend in Frankfurt. 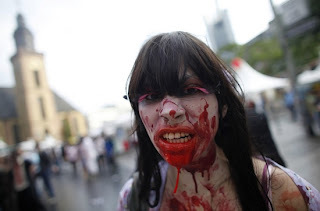 German daily Spiegel covered most of the fake blood and brains. 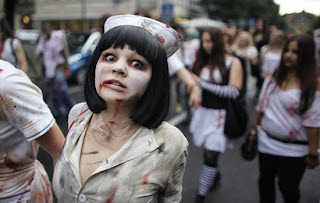 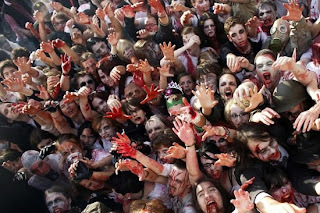 Zombie parades are becoming more and more common, as they are held in different countries around the world. 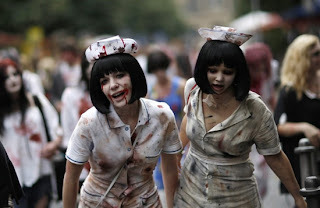 The first zombie parade was organized back in 2003, in Toronto and, in 2005, there 80 zombie parades, attended mainly by horror movie lovers.